Helen, West Virginia once a bustling coal mining town now rests relatively quiet and almost forgotten. Helen like the various other coal camps of the Winding Gulf, experienced rapid expansion and growth throughout the early 20th century. During the 1920s, the mines at Helen produced some of the highest quantities of coal in the state. The small town was once home to hundreds of miners and offered amenities such as a movie theater and baseball field in addition to a variety of housing arrangements, a company store, a school, and two churches. In 1940, the U.S. Census reported that there were 1090 people living in the town. Through a combination of factors, including the Depression, Word War II, and mine mechanization, the mining operations and population of Helen began to decline throughout the 1950s. With the remaining mining operations ending in the 1980s, the historic town of Helen, as of 2014, was home to approximately 126 people. Despite the significant loss of population and its historic assets, organizations are working together to preserve this history and promote it for educational and heritage tourism purposes. During the 2017 and 2018 service years, Preserve WV AmeriCorps member, Kyle Bailey, conducted projects to preserve the history of Helen. 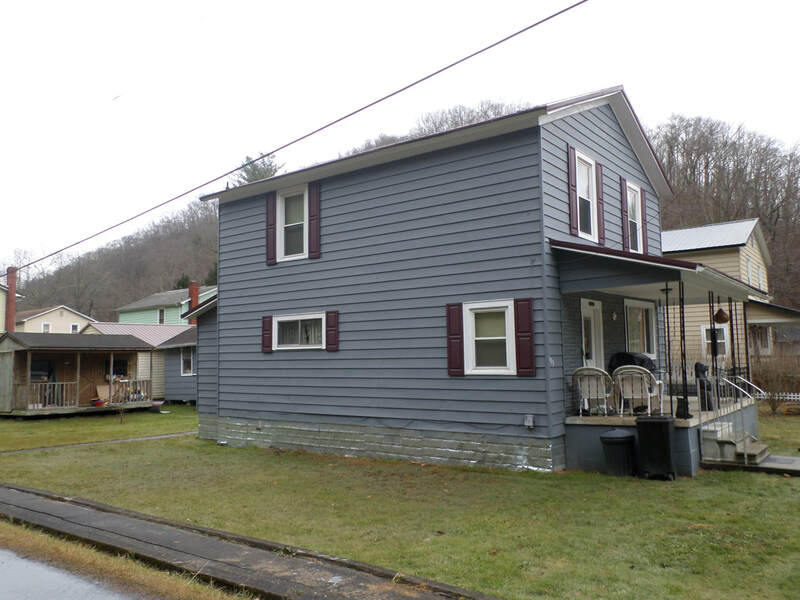 Through the joint efforts of the Preservation Alliance of West Virginia, the National Coal Heritage Area Authority, and the Winding Gulf Restoration Organization - a local nonprofit - Helen’s local history and cultural heritage might be saved. Kyle’s projects included an historic survey to determine the eligibility for a proposed historic district to be nominated on the National Register of Historic Places - the official, honorary list of historic properties designated by the National Park Service. If eligible, property owners within the district could receive financial benefits including grants and tax credits. 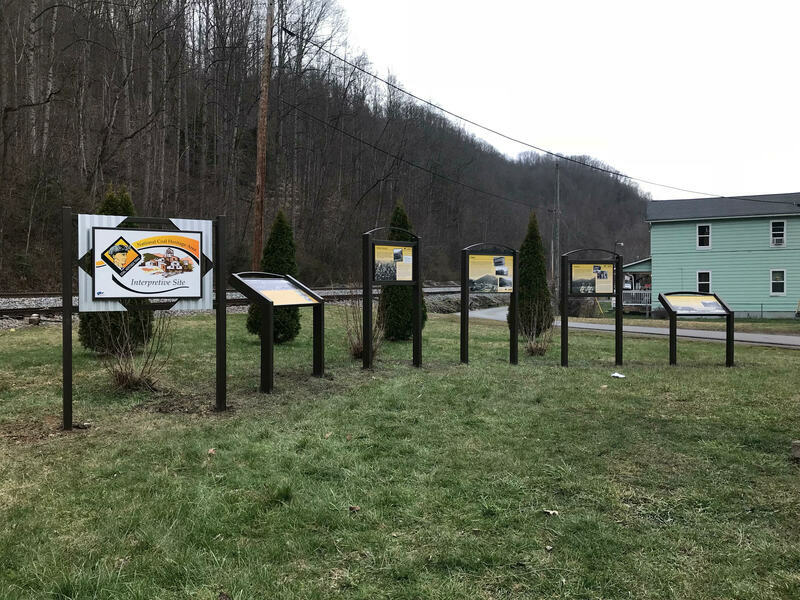 In addition to the survey, interpretive signs were installed by local volunteers and AmeriCorps members at the Coal Miner’s Memorial Park in Helen. The park, a result of the work completed by the Winding Gulf Restoration Organization, is yet another local project to help promote heritage tourism in and around Helen. 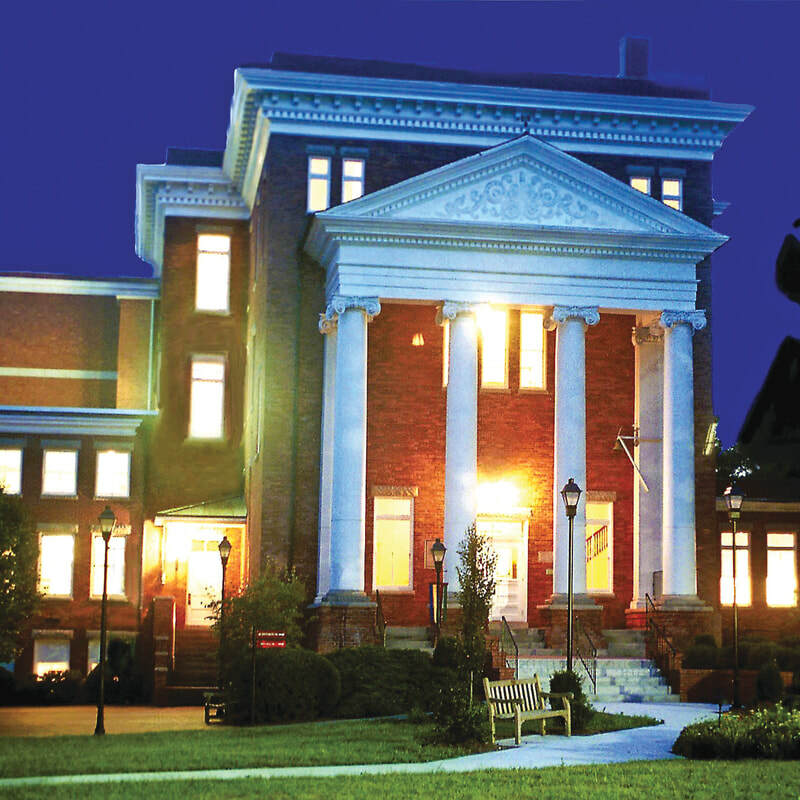 In 2015, the Preservation Alliance and the restoration organization secured and mothballed the town’s historic apartment building and made plans to preserve the structure. Helen was also selected as a stop along the African American Heritage Auto Tour sponsored in part by National Coal Heritage Area Authority. Furthermore, historic sites throughout Helen have been added to the increasingly popular website and mobile application, Clio. 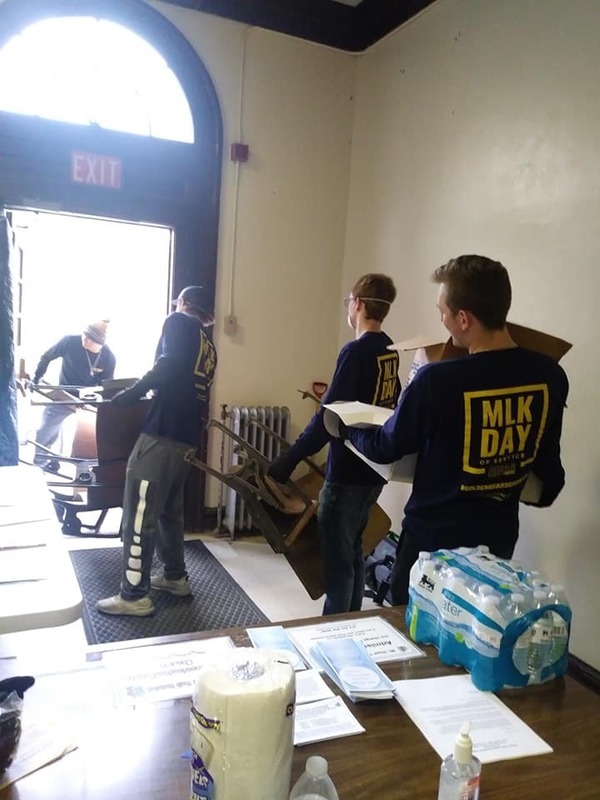 AmeriCorps members serving with the Preservation Alliance of West Virginia conducted a Civic Service Project in honor of Dr. Martin Luther King Jr. and Black History Month at the Mount Hope Community Center on February 11th, 2019. The primary goal for this service project was to remove broken electronic equipment from the community center in order to help reduce the stress it was causing on the building’s second floor. With the removal of this debris community members and volunteers hope to prepare it for future use and further preservation projects. The historic Loup Creek YMCA, now commonly known as the Mount Hope Community Center, houses an operational commercial kitchen, a large conference space commonly referred to as the Band Room, and operates as a sports complex for 25% of the year. Co-organizers Carrie Kidd and Kyle Bailey also recruited volunteers to help clean up at Dubois on Main, a local museum dedicated to preserving the history of Dubois High School and black history in Fayette County. Working in coordination with Mount Hope city officials and WVU Tech students, the project resulted in a great success for the Mount Hope community and residents of Fayette County. 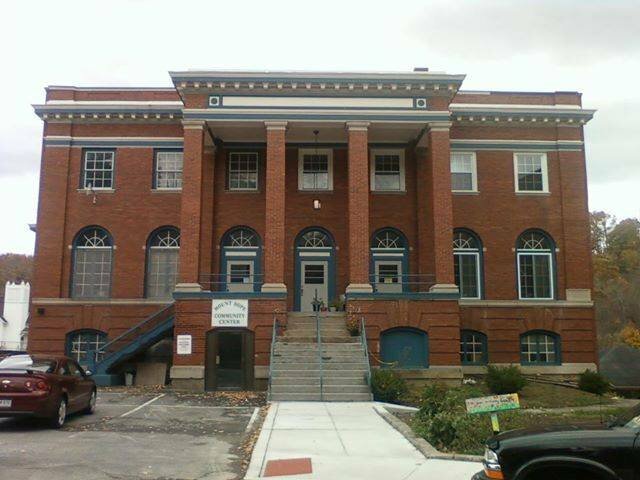 Kidd, who serves as a Preserve WV AmeriCorps member with the Fayette County Resource Coordinator’s Office reports, “The historic Loup Creek YMCA is a vital asset in the Mount Hope community. Still currently being used as a sports complex for much of the year, it is important to maintain the structural integrity of the building. Removing the unused electronic equipment alleviated the weight placed on the second-floor ceiling. With help from the WVU Tech Golden Bears Baseball team, we can now concentrate further preservation efforts to the remainder of the facility. My name is Alanna Natanson, and I am excited to be the 2018-2019 Preserve WV AmeriCorps member serving at the West Virginia and Regional History Center at West Virginia University in Morgantown, West Virginia. While engaging with a collection related to historic structures in the Mountain State, I hope to understand how the natural environment and built landscape affected the lives of people in West Virginia across the 19th and 20th centuries. I know those histories still influence the state I can’t wait to explore today. World War II through yearbooks and census records, I realized the behind-the-scenes stories of telling history fascinated me even more than the history itself. I love knowing how archives make materials accessible to historians, and how the limits of collections at historical institutions ultimately shape the arguments a researcher can create. By the end of my first year of college, I knew I wanted to pursue a career making historical collections available to researchers. I’ve been lucky enough to explore my interest in archives while processing collections in all kinds of research institutions: the Stetten Museum of Medical Research at the National Institutes of Health in Bethesda, Maryland, the Forsyth County Public Library’s North Carolina Room in Winston Salem, North Carolina, the Salem College Library and Archives also in Winston Salem, and the Kentucky Historical Society in Frankfort, Kentucky. Now, I’m excited to apply all my experiences while processing the Emory Kemp Collection at the West Virginia and Regional History Center. Emory Kemp founded the Institute for the History of Technology and Industrial Archaeology at West Virginia University while also serving as a faculty member in the School of Engineering and College of Arts and Science. His collection not only documents his own life, but also records key information about many of West Virginia and Appalachia’s oldest bridges, canals, dams and man-made waterways. After we make his collection available to the public, scholars will have the opportunity to understand the way past West Virginians honed the natural terrain to build transportation and industry in the state. For me, the project is going to be a wonderful way to learn about West Virginia (a trip to Harper’s Ferry made up the whole of my West Virginia experience prior to Preserve WV AmeriCorps). Not only do I look forward to scouring through photographs and blueprints of West Virginia’s structures; I also want to pay attention to how these industrial remnants tell stories about the labor, politics and daily life of generations of West Virginians. Buildings are the physical manifestations of people, and this collection houses the stories of a wide range of humans embedded among the state’s bricks and steel. 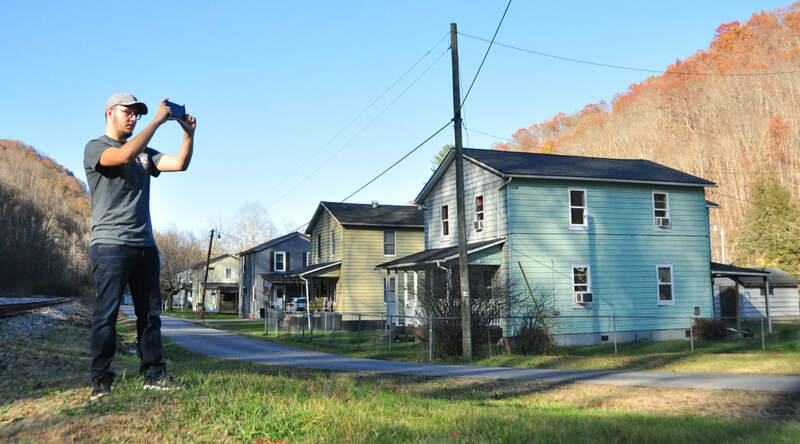 Digging up those stories is going to bring out characters who show sides of West Virginia the world may not yet know. I chose to serve with Preserve WV AmeriCorps because I want to use my love of behind-the-scenes history to feature stories that don’t usually appear in historical scholarship. This year, I also want to learn to shape a high-quality historical picture of West Virginia while leaving my biases out of the collection as much as possible. Preserve WV AmeriCorps will help me grow, just as I hope that I can facilitate a small part of the history of the preservation movement in West Virginia. Part of the mission of the Jefferson County Historic Landmarks Commission is educational outreach. The county has a rich history that spans from the early settlement period in the 1730’s and into the modern era. This history drives our heritage tourism industry, which, in a study conducted for the West Virginia Tourism Office in 2017, earns Jefferson County over $900 million per year. The landmarks commission understands the importance of sharing our history to encourage local preservation now and in the future. 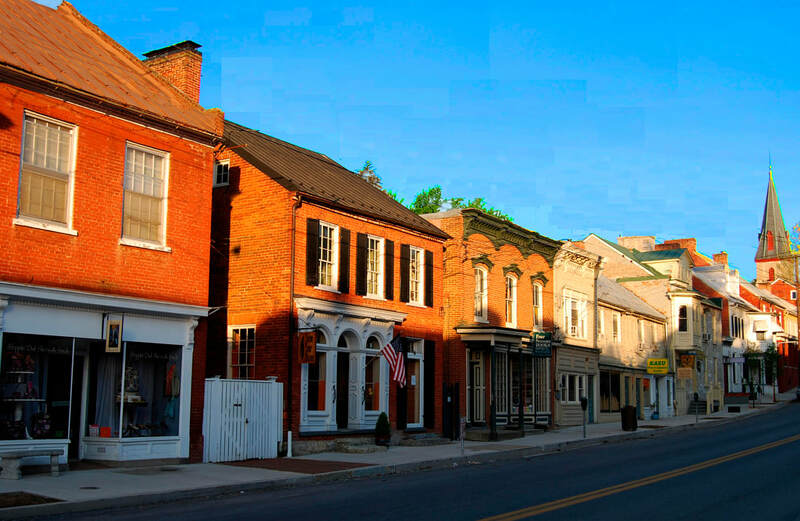 Shepherdstown, established in 1762, is the oldest town in the county, and if you aren’t asking someone from Romney, the oldest town in the state. Both the landmarks commission and the SVC are interested in increasing awareness of the county’s colonial history in addition to its Civil War history. We reached out to Marianne Davis again this year to find out what stories need to be told, so we’re drafting a new brochure for the Beeline March, in which 100 men set out from Morgan’s Spring outside Shepherdstown to join Washington at the siege of Boston in the summer of 1775. Shepherdstown was a major mustering point during the war and dispatched seven companies between 1775-1783. It is a beautiful, well-preserved town that has retained many of its 18th century structures. Ms. Davis says, “Good stewardship of historic buildings and sites, coupled with research-based interpretation, has made Shepherdstown attractive to visitors, and has enriched the lives of residents.” Our hope is that increasing awareness of our local story will promote future preservation and help to ensure that Shepherdstown is a great place both to live and visit well into the future. Who are some of the most well-known performers who have performed there? Did the building really used to house a bowling alley and gymnasium? Why is there a Carnegie Hall in Lewisburg? I spent most of my service year researching these questions and many more to uncover as much as I can about Carnegie Hall’s past. Many people have contributed research over the years including Dr. John Montgomery (President of Greenbrier College from 1954 - 1972), Vivian Conly (Executive Director of Carnegie Hall from 1989 - 2004), and Mary Montgomery Lindquist (Alumnae of Greenbrier College and daughter of Dr. John Montgomery). Thanks to their valuable efforts and funding from the Carnegie Hall Guild and a West Virginia Humanities Council Mini Grant, I have been able to curate a permanent historic exhibit to be displayed on the second floor of Carnegie Hall. Due to the volume of historical materials, I have also been developing an archive that will be available to the public for research and general inquiries. This is something I had little to no experience prior to serving in this AmeriCorps position. However, I have learned so much about research, archiving, preservation, and exhibit creation that will help me in whatever I choose to pursue in life. Larry Davis, a West Virginia School of Osteopathic Medicine faculty member and local tour guide, attended the exhibit opening. Larry stated that he “...was pleased with the results of her diligent research on the topic and the quality of her presentation. I could tell that others in attendance were appreciating it.